It is my hope that you are surrounded by compassionate and kind people during difficult times. The reality for most of us is that our landscape of close family and friends will likely change after a significant loss. Cultivating compassion for ourselves and those around us can help us reduce suffering. Each person reacts differently to grief, and we may not always understand or agree with one another. 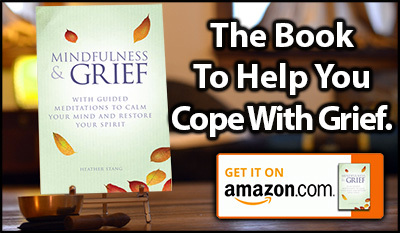 To begin with, irritability is a side effect of grief that many people experience. Additionally, the many tasks associated with the death of a loved one can contribute to added stress and disagreements, including funeral arrangements, managing the estate, and even how people expect you to grieve. There will be differences in grief reactions. Some people will cry while others will not. Some family members will want to reminisce, and others will want to forget. The important thing to remember—but that is so easy to forget when we ourselves are in pain—is that ultimately everyone wants to be free from suffering. We just go about it different ways. One classic meditation technique helps us recognize that we are more similar than different in this desire to be happy. The practice is to imagine sending well wishes to our self, followed by a series of other people. The point of this practice is not to fake kindness, nor is it to force yourself to feel a particular way. The goal is to recognize the nature of the connection we have to other people, and to simply open to the possibility of softening reactivity and in some cases heal damaged relationships.